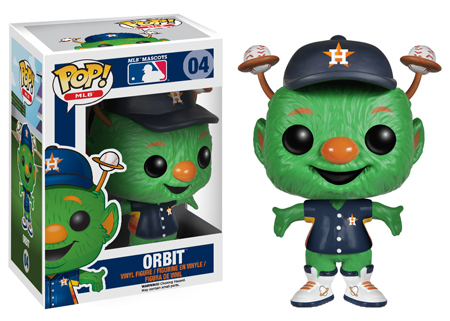 2014 Funko Pop MLB Mascots vinyl figures mark the first time the diverse line heads to the ballpark. 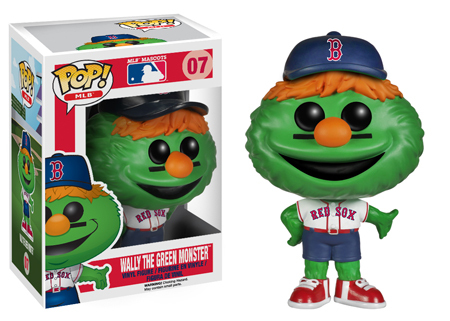 The debut lineup has seven figures, consisting of some of baseball's most popular mascots. 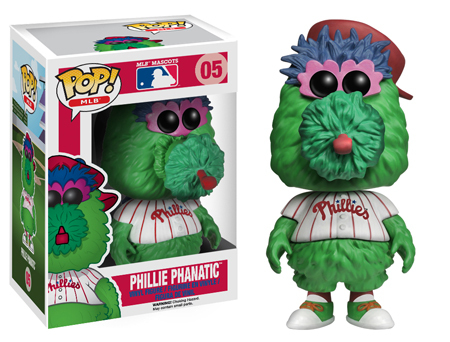 They include Mr. Met, Wally the Green Monster, Mariner Moose, Orbit, the Swinging Friar, the Phillie Phanatic and Mr. Redlegs. 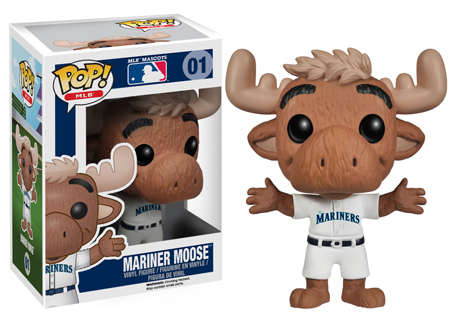 Although recognizable, the 2014 Funko Pop MLB Mascots don't have dead-on likenesses. Rather, they come with the distinct look that comes with all of the Pop pieces. 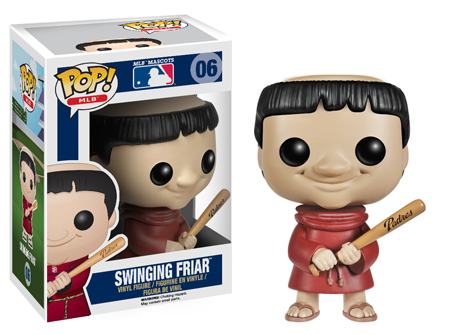 The cartoon-like figures have button-shaped black eyes and proportions similar to a bobblehead. Intended more for display than playing, each vinyl figure stands approximately 3 3/4" tall. 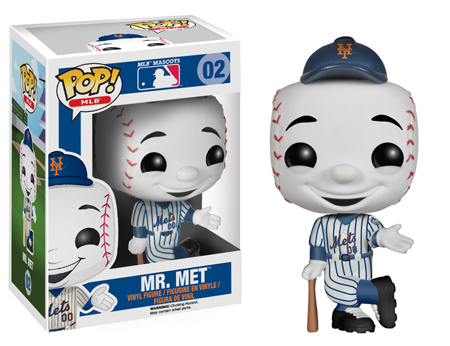 The Funko Pop line has lots of figures covering movies, TV, comics and other areas of pop culture. Thus far, its sports offerings have been limited to the NBA and WWE. 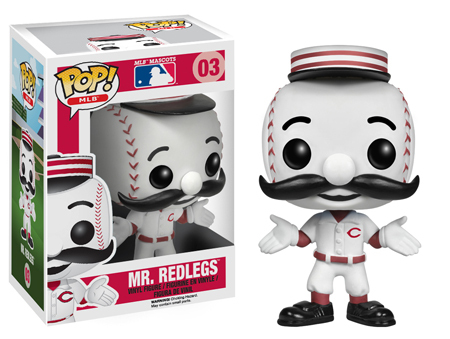 The MLB mascots figures are slated for release in May. You should have no trouble finding them for $10-15 each. Click on the links or images to shop for specific figures on Amazon. San Francisco Giants Polar Bear Plush Dog Doll Mascot MLB Stuffed Gift SF NEW 5"
Los Angeles Angels MLB Sport Pillow Pet - Cushion Mascot Plush Toy - NICE!